The phenomenon of ‘Prior Failed Back Surgery’ is one that occurs all too frequently in the orthopedic field; this being due both to the sensitivity of the back and spine area and the overeagerness of some physicians to perform major surgery when it may not be needed. The International Association for the Study of Pain defines Failed Back Surgery Syndrome (FBSS) as lumbar spinal pain that persists even after surgery has taken place. 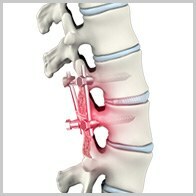 Although surgical procedures sometimes are required to treat and repair particularly severe back pain conditions, Dr. Payam Moazzaz is dedicated to finding and practicing noninvasive alternatives to conventional back surgery; treatments and therapies that may involve less pain, less pressure, and more of a positive therapeutic outcome for the back pain patient. And Best Failed back surgery who have undergone traditional open neck and back surgeries. Dr. Moazzaz also offers special relief for patients already suffering from FBSS; those who have had a failed back surgery have elicited more of the pain they were trying to remedy in the first place. Through the successful application of a decade’s worth of experience in the orthopedic field, Dr. Moazzaz is basically and essentially the surgeon who can clean up after and rectify the effects of other failed back surgeries–all the while putting you fast on the road to a happier and pain-free life.